If you are after a gift idea for someone you know, or even for someone you don’t, tea gift sets are the perfect gift for any occasion. As a tea lover I relish the thought of good quality tea gifts sets, and if someone gave me one as part of a gift basket or even on its own, I would be straight into the kitchen and brewing up a pot. If you are looking for a gift for a tea lover, you can’t go past tea gift sets, and these days when you can buy tea online, there is no reason not to find something of good quality for a gift. The Twinings Variety Pack is a great option if you are looking for a gift or even just looking for something new to try yourself. Twinings is a well renowned tea company that has always made quality ‘go-to’ teas for any time of the day or night, and with tea being such a popular choice in so many countries around the world, is it any wonder tea gift sets and the ability to buy tea online has grown in popularity? After all, who doesn’t like to sit down with a good cup of tea, a biscuit and a good book? Twinings have hit the mark with this four flavor variety pack, including English Breakfast, Earl Grey, Lady Grey and Irish Breakfast. This combination of teas covers morning to night and if you’ve never tried a Twinings tea before, this tea gift set is a great idea. 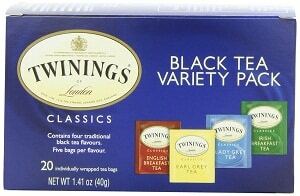 The Twinings Variety Pack is set of classic flavors you can’t go wrong with. When it comes to choosing accessories you should keep it relatively simple – a nice tea cup and saucer and maybe even a nice tea pot. When you drink tea, you want it to feel special, like it is something you deserve (and let’s face it, a nice cup of tea at the end of a long day is certainly deserved) and the only way to make that experience better is to choose some quality accessories to go with those tea gift sets. The best time to buy tea online is when you know the type of tea you are after; it is a great place to start looking if you already drink tea regularly and know what flavors you like. But buying online is also perfect if you are after some new teas to try but don’t want to spend the earth; the Twinings Variety Pack suits this need – it is inexpensive and gives you the option to try something new. The only downside to buying tea gifts sets is that you don’t always have a large selection of flavors to choose from; companies often put their most popular flavors in a gift set. 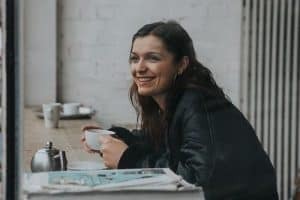 But there are advantages to this – if you are buying for someone else and you don’t know what flavor of tea they prefer, you can’t go wrong with a set of classic tea flavors and similarly if you are looking to buy a new tea for yourself and don’t know what to choose, this can be an easy way to decide.